Gourmet Italian coffee provides a treat for the taste buds. If you're used to brewing vast pots of coffee and gulping it down as jet fuel for life, rethink your coffee experiences before trying gourmet Italian coffee. It's meant to be sipped and savored. 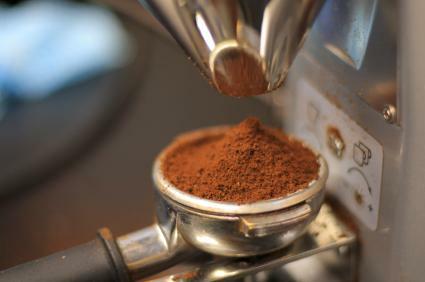 Italian coffee typically consists of blends of various coffee beans that are freshly ground and brewed into treats such as espresso and espresso-based drinks like cappuccinos and lattes. The blend of beans that comprise Italian coffees depends on the desired flavor. Many blends are available. Most are based on Arabica beans, with Central and South American coffee bean blends included in varying proportions. This gives slightly different nuances to the coffee. Regional variations in Italy tend to dictate taste. In southern Italy, darker more robust blends are preferred. In the north, lighter blends prevail. Select whole beans over ground coffee. Choose beans that look and smell fresh; dried out looking beans may indicate that the beans are past their prime. Grind beans at home and select the desired grind size. Most importantly, select coffee beans that smell rich and full. "The nose knows" when it comes to selecting prime coffee beans. If it smells tasty, chances are it will brew a great cup of coffee. Italian coffee beverages tend to be smaller and stronger than their American counterparts. In general, if ordering coffee at a café in Italy, you'll receive what we in America call an espresso. Espresso or café espresso is a beverage made from freshly ground coffee beans and hot water or steam forced under great pressure through the grinds. That's why espresso machines make a hissing noise; it's the pressure of the steam that makes the telltale espresso hiss. The strong coffee taste is compressed into a small cup. The oils and flavors are highly concentrated, and a cup of espresso has two to three times more caffeine than a similar sized cup of drip-brewed coffee. Café correcto: Coffee with a shot of alcohol, usually grappa or cognac. Cappuccino: Espresso mixed with steamed milk. Typically, one third of the cup is espresso, with one third steamed milk and the rest, foam. Café macchiato: Made similarly to Cappuccino, but served in a smaller cup. If you want to be truly authentic, you may want to follow Italian coffee rituals and protocols. Coffee is generally consumed as an after-dinner drink, never as a beverage with a meal. The exception is at breakfast, when Cappuccino or café latte (coffee and milk) is consumed with breakfast. This tradition is also found throughout Europe, notably in Italy and France. Bennoti, for authentic espresso machines and coffee blends, gives you the flavor of Italy. Espresso Zone offers everything the amateur barista needs from the beans to the coffee maker. They offer pre-ground "pods" of coffee, supposedly specially sealed to lock in flavor. Pasta Cheese offers gourmet Italian food. Coffee beans available include Cipriani blends and Caffe Vergano Coffee. Experiment with various coffee blends, equipment and drinks to find the gourmet taste that you enjoy. For authentic Italian coffee, start with a base of espresso and add milk. Sip it alone after a meal to truly savor this gourmet treat. Or sneak a taste of a puff pastry desert as an ultra special treat.